Wolf Commercial Real Estate, the leading Cherry Hill commercial real estate brokerage firm that specializes in Cherry Hill commercial real estate listings and services, is offering premier Cherry Hill office space for lease in the Woodcrest Pavilion at 10 Melrose Avenue Cherry Hill NJ. This Cherry Hill professional office space for lease is housed in a move-in ready Cherry Hill office building for lease. This Cherry Hill professional office space for lease also has two sides of windows. The asking lease price of this professional office space in Cherry Hill has been set at $16.00/sf Gross plus utilities. The lease term of this Cherry Hill professional office space for lease expires on August 31, 2020. This Cherry Hill professional office space for lease is being offered for immediate occupancy through Wolf Commercial Real Estate, a Cherry Hill commercial real estate broker with expertise in Cherry Hill commercial real estate listings and services. This Cherry Hill office space for lease in the Woodcrest Pavilion at 10 Melrose Avenue Cherry Hill NJ features a suite with +/- 2,693 feet. There is current law firm space in this professional office space in Cherry Hill. 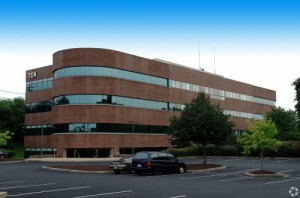 The four-story Class “A” office building containing this Cherry Hill office space for lease is beautifully landscaped and the granite lobby has views of a fountain. In addition, this Cherry Hill professional office space for lease is conveniently located off Exit 31 on I-295. This Cherry Hill office space for lease in the Woodcrest Pavilion at 10 Melrose Avenue Cherry Hill NJ is in walking distance to the Woodcrest PATCO High-Speed Line station. Parking is plentiful at this Cherry Hill office space for lease, with a ratio of 4.21/1,000 sf. Lobby and suite signage also is provided to tenants at this Cherry Hill professional office building for lease through Wolf Commercial Real Estate, a Cherry Hill commercial real estate brokerage firm with expertise in Cherry Hill commercial real estate listings and services. More than 268,000 people reside within a five-mile radius of this professional office space in Cherry Hill. The average household income in the same geographic area near this Cherry Hill professional office space for lease is $87,718. For more information about this Cherry Hill office space for lease in the Woodcrest Pavilion at 10 Melrose Avenue Cherry Hill NJ or about any other Cherry Hill commercial properties for lease, please contact Jason Wolf (856-857-6301; jason.wolf@wolfcre.com) at Wolf Commercial Real Estate, a Cherry Hill commercial real estate broker that specializes in Cherry Hill commercial real estate listings and services.